You are here: HomenextPlacesnextThe town centrenextThe Railway Bridge from the Broadway. 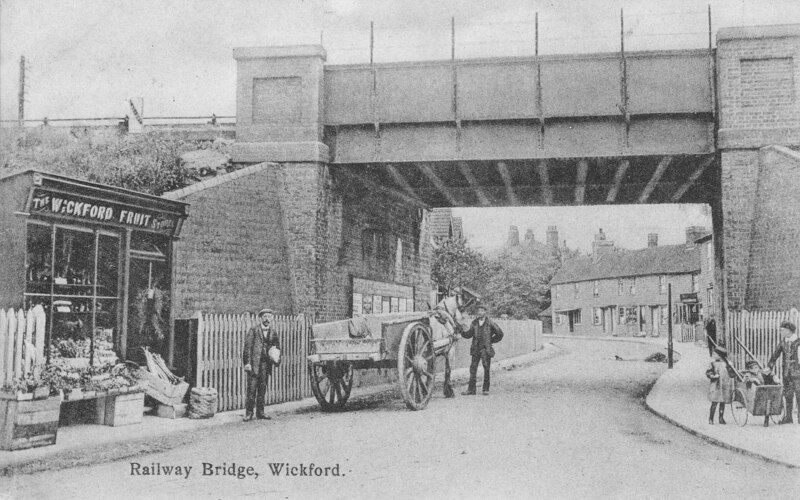 The Wickford Fruit Shop is next to the Bridge. This shop became a sweet shop later. I remember during the war sometime there was a exhibition of the V1 [the doodle bug], which was surrounded by corrugated iron opposite this shop which was burnt out, either by a spark from then steam trains or a bomb or incendiary bombs. This shop had a hit during the war. As a child I remember seeing burnt out motorcycles on the parade outside Fawcetts opposite. The shop was completely gutted.